Plenty has been written by central government agencies, local government authorities, legal experts and economic development consultants on ‘unlocking the potential of Māori land. I’m definitely no expert in these matters and perhaps shouldn’t have an opinion as I will never be a Māori land owner – but my wife and tamariki are, so I like to think about what might be good for them and our descendants. The whole notion of ‘unproductive’ Māori land is a little problematic and ironic. Land was necessary as a means of maintaining social solidarity. Land was the foundation of the social system, the base the means of giving reality to the system in the forms of residences, villages, gardens, special resource regions and so on. Continuity of the group depended every much on a home base called te wā kāinga where people could live like an extended family and actually see it on the ground as a reality. Undoubtedly land provides a place for one to stand. This is inherent in the concept of tūrangawaewae, a place for the feet to stand; where one’s rights are not challenged, where one feels secure and at home…. The net effect of various cultural bonding mechanisms and traditional tikanga practices was to develop a relationship with the land. This relationship is about bonding to the land and having a place upon which one’s feet can be placed with confidence. The relationship is not about owning the land and being master of it, to dispose of as the owner sees fit. 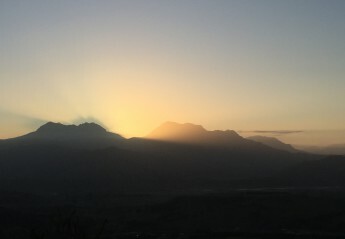 The land has been handed down the whakapapa line from generation to generation and the descendant fortunate enough to inherit the land does not really ‘own’ it. That person did not buy it. The land cannot be regarded as a personal asset to be traded. 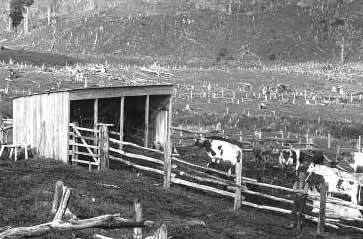 Legislation governing the way Māori Freehold land has been managed – since settler governments imposed British legal frameworks over most of life in Aotearoa – resulted in large tracts of Māori land being cleared for farming in the late 19th Century and many eventually having no effective administration as succession issues and urbanisation trends complicated management arrangements. Many of those blocks left fallow for 30-50 years have started reverting to native plant cover with manuka and kanuka establishing themselves as pioneer (or seral) species that in time provide an ideal nursery for larger native trees to eventually takeover. So ironically, these ‘neglected’ land blocks are fast becoming valuable crops for the production of manuka honey, an industry experiencing exponential growth in the past ten years and on track to have a billion dollar turnover in the next five years. The genesis of this post was when someone asked me this morning if I thought the first step to unlocking unproductive Māori land potential is improving governance of each landblock? If I had an opinion on it, I’d probably say yes and no. Yes, I think where there is a group of shareholders already recognised by the Māori Land Court as the Responsible Trustee or Advisory Trustees for the block, then yes, they could be interested in accessing support with their governance role – particularly planning and decision-making based on good information (getting access to the necessary ‘good information’ is another issue). supports the group of engaged shareholders to contact other owners via the postal addresses held by the Māori Land Court and Te Tumu Paeroa, and via informal networks like whanau contacts and Facebook groups of various marae/hapū, to build a current database of shareholder emails that can be basis of ongoing, regular communication. Then they can start organising themselves as owners and making decisions about the land. Just this activity of contacting shareholders and building a contact database is a huge undertaking that likely needs proper resourcing so interested shareholders can rebuild connections between whanau that may not have been physically connected to the whenua for a generation or more. There could also be support for hapū groups to develop capability and capacity to take over land administration as Responsible Trustee from Te Tumu Paeroa to provide more active management and local accountability for decisions. Support may need to be provided to shareholders to go to the Land Court to make the changes once the hapū entities have the internal infrastructure to take on the responsibilities of administrating the land blocks in partnership with engaged shareholders. In terms of then making ‘good decisions’ about the land use, shareholders and Responsible Trustees may be interested in accessing support to build consensus around the values they collectively hold for their whenua and systems for decision-making – particularly how the issue of share numbers may or may not determine the relative influence of shareholders in decision-making. Locally we have recently invested in the establishment of an online platform to connect better with hapū and marae whānau, this will also be used to connect landowners in interested blocks. Where did all the farmers go? Or how much useful energy is stored in human belly fat? In his 1979 essay “Energy in Agriculture” the American farmer, author and activist (some say prophet) Wendell Berry reflects on a memoir by Donald Hall of life on his grandparents’ New England farm from the 1930s to the 1950s. The farm produced food for the household and made a cash income from a small hand-milked herd of Holsteins (Fresians) and a flock of sheep. It had trees for firewood and mayple syrup. Sales of wood paid for the girls to go to school and while the farm and family were ‘poor’ by modern standards with only a small income, they also only spent a small amount. Its energy economy was largely independent of its money economy. The energy of this farm came largely from people and from one horse. This farm was based on patterns of agriculture that have been extinguished by the methods of industrial agriculture and modern capitalism. Farms like the Hall’s gave way to assumptions of “progress” that privileged the city over the country, the large-scale over the small, uniformity over diversity. Profound in my context was Berry’s brief history lesson about urbanisation. Trends in the US rural drift to the cities have been mirrored in Aotearoa New Zealand, nowhere more so than the East Coast. 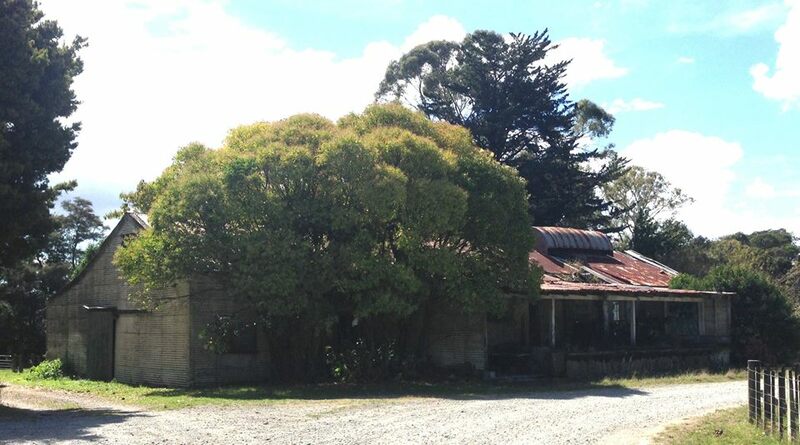 One of Berry’s main points is that as ‘agribusiness’ grew in the 20th Century it favoured land that was easy for large, mechanised tools of production to access – namely large, flat to easy country so while small-holdings both in New England and around Ruatoria had been successfully cultivated for hundreds of years, new technology meant the small family farm could not compete with the industrial agriculture of large companies that bought or leased massive tracts of land in other parts of the country. Rural communities that had been largely self-sufficient quickly emptied as families could no longer find work – either because farms in the area had been bought or leased to corporations and the production had been taken over by machines, or because the modest cash income – that had supplemented food grown by the household for itself – had dried up when cheaper produce was sourced from larger farms. Apirana Ngata as Minister of Native Affairs encouraged the wholesale clearance of native bush on the East Coast and other parts of New Zealand still occupied by Māori for conversion to small scale dairy farms. Uncle Tui Tibble was born in the 1930s and remembers dozens of small dairy herds being milked daily in the 10km between Makarika and Ruatoria. Likewise Aunty Patricia, born in 1940, spent her years before going to boarding school milking cows with her nanny on the East Cape. Her secondary schooling was largely paid for by the income from the cows. Those were the days when local families would milk between 30 and 100 cows every morning, put the full containers out at the gate for collection and receive a ‘cream cheque’ each fortnight. Most of that cream went to the Butter Factory in Ruatoria. The building still stands, but with a declining milk supply the factory itself closed in 1954. The factory closure didn’t come because the cows went dry, it wasn’t the impact of a prolonged drought or a milk powder contamination scare. It was in fact the intersection of two massive social shifts – urbanisation and large-scale industrialisation of the agricultural sector. The post-war baby boomers were the first generation of ‘consumers’, production shifted away from small family farms and at the same time people shifted away from farms. Before the Second World War 80% of Māori lived in rural communities, the 2013 Census found that over 80% of Māori now live in urban centres. In fact the War was largely responsible for taking men (and women) not only into active service but to work in city factories supporting the war effort. With a booming population and increasing ‘prosperity’ in the post-war years, Māori and Pākehā expectations and aspirations changed – higher education, increased mobility and expanded choices were the basis for massive relocations into cities over the next few decades. …something was gaining speed in our country that I think will seem more and more strange as time goes on. This was a curious set of assumptions, both personal and public about ‘progress’. If you could get into a profession, it was assumed, then of course you must not be a farmer; if you could move to the city, then you must not stay in the country; if you could farm more profitably in the corn belt [Poverty Bay flats, Canterbury Plains, Pukekohe], then the moutainsides of New England [East Coast] must not be farmed. For years this set of assumptions was rarely spoken and more rarely questioned, and yet it has been one of the most powerful social forces at work in this country [and around the world] in modern times. But these assumptions could not accomplish much on their own. What gave them power, and made them able finally to dominate and reshape our society, was the growth of technology for the production and use of fossil fuel energy. This energy could be made available to empower such unprecedented social change because it was “cheap.” But we were able to consider it “cheap” only by a kind of moral simplicity: the assumption that we had a “right” to as much of it as we could use. This was a “right” made solely by might. Because fossil fuels, however abundant they once were, were nevertheless limited in quantity and not renewable, they obviously did not “belong” to one generation more than another. We ignored the claims of posterity simply because we could, the living being stronger than the unborn, and so worked the “miracle” of industrial progress by the theft of energy from (among others) our children. Berry argues, not only did the cultural values of society shift along with more ‘metropolitan’ tastes and consumption habits increasingly dependent on manufactured food, but more importantly the shifts were a logical consequence of ‘marginal’ farms in New England – and the East Coast of Aotearoa New Zealand – being abandoned – not because they were unproductive or undesirable as living places. Today we find ourselves in a situation where thousands of hectares of land on the East Coast and other parts of the country that were once highly ‘productive’ as family farms are now lying fallow, gathering millions in rates debt. 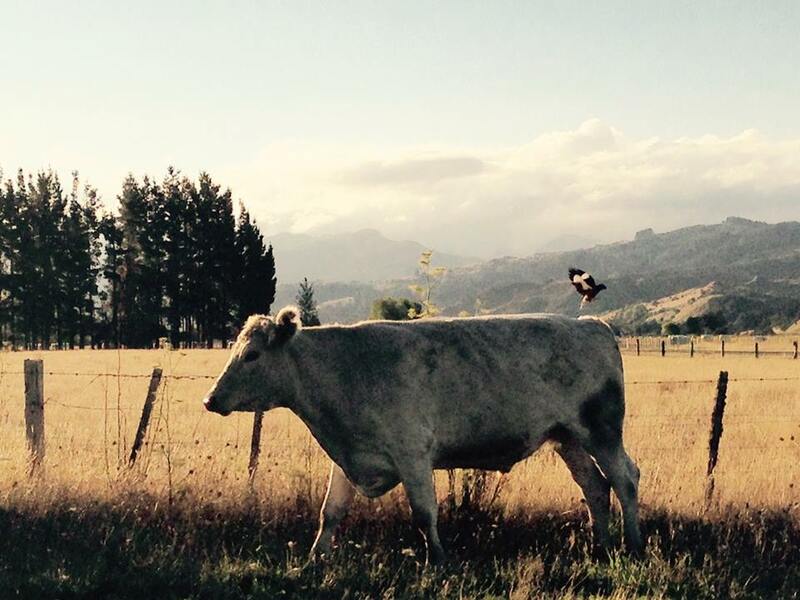 While some estimates classifying up to 80% of Māori land as ‘under-performing’ or ‘unproductive’ may be exaggerated, and the benefits of ‘undeveloped’ land may turn out to be quite profitable, and whether or not law reform is required to address the complexities of tenure and management, the fact remains that Māori land in our community is rarely being utilised like it was to enable whānau to grow their own food and derive some modest income from what can be sold, swapped or given away. Industrial agriculture replaces people with machines; the ability of millions of people (maybe tens of thousands in Aotearoa New Zealand) to become skillful and to do work therefore comes to nothing. We now have millions (tens of thousands) on some kind of government support, grown useless and helpless, while our country becomes unhealthy and ugly for want of human work and care. And we have additional millions (hundreds of thousands) not on welfare who grown equally useless and helpless for want of health. How much potential useful energy do we now have stored in human belly fat? And is it costing us, not only in medical bills, but in money spent on diets, drugs and exercise machines? A pretty harsh analysis and probably won’t go down well with the liberals, but it resonates with many of us who might even have grown up on or close to small farms but have lost the knowledge, skills and motivation to fend for ourselves, kill our own meat and grow our own fruit and vegetables… and have grown accustomed to an unhealthy way of life so different to that of Uncle Tui’s childhood or Donald Hill’s grandparents. Of course it is easy to romanticise the ‘good old days’ and living off the land when actually there’s very little that is glamorous or easy about it. Our friends and neighbours who live ‘closer to the land’ than we do at present struggle with the challenge of the workload of growing your own – as Hirini Kaa‘s grandfather said in his diary: ‘Kumara is such hard work every day except Christmas, Easter and Sunday mornings.” A poor season and smallharvest can mean a very lean winter, living off the grid can mean cold nights, constant illness and modest incomes can mean insecure land tenure and investing everything in land that is whipped away by those who can take it… all the trappings of the ‘simple life’ that our ‘easy life’ is setup to avoid at all costs. Still, a small and determined group of hardy souls have kept the faith and whether it was pacifist religious communities after the war, hippy communes and intentional communities through the 70s, the NZ Small Farmers Association that my father Graham Caddie was briefly President of in the late 80s, more recent Catholic Worker farms in the Hokianga, Kapiti Coast and Central Hawkes Bay or stubborn whānau who simply refuse to leave their whenua and have continued to farm the blocks handed down to them – authentic examples have been quietly growing about their business while the rest of society chases the Kiwi Dream- however that is defined in these days of three quarters of a million dollars average house prices. Moving rural this year, back to Tarsh’s marae at Makarika just south of Ruatoria was largely motivated by a cultural imperative around the retention and revitalisation of Te Reo Māori for our children and ourselves, but it seems to be increasingly offering a much wider range of opportunities to deepen our relationship with each other and the rest of Creation in a surprisingly spiritual encounter with the whenua, our collective histories and potential futures as Berry again articulated so much of so well in a recent article last month. It feels like new beginnings for our family in so many ways – and while there’s nothing romantic about killing field mice that are just trying to shelter from the cold on a frosty morning – there is so much beauty all around us, so much potential to live in a more balanced way with the world around and inside us, and so much opportunity to have fun while making mistakes and growing together. It’s a bit scary but all exciting journeys should be. Gisborne District Councillor Manu Caddie is calling for an investigation into alleged human rights abuses by Immigration New Zealand in Gisborne. Mr Caddie is very concerned about reports that two Tongan men being held at Gisborne Police Station have been denied access to lawyers and interpreters. 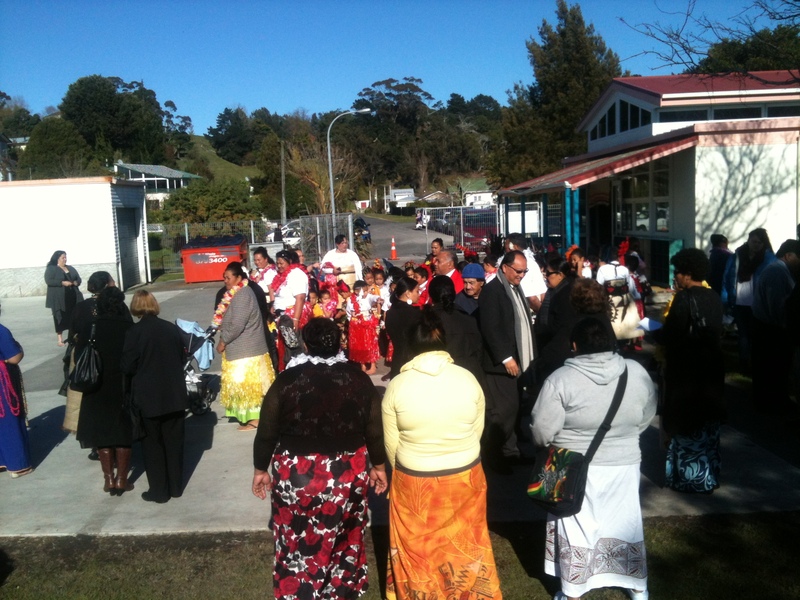 Gisborne has a growing population of new immigrants, some who stay longer than their visa allows. Mr Caddie, who is of Tongan descent himself, says he understands there are approximately 2,500 Tongans now living in Gisborne, many work in low paid employment such as forestry and seasonal field work.